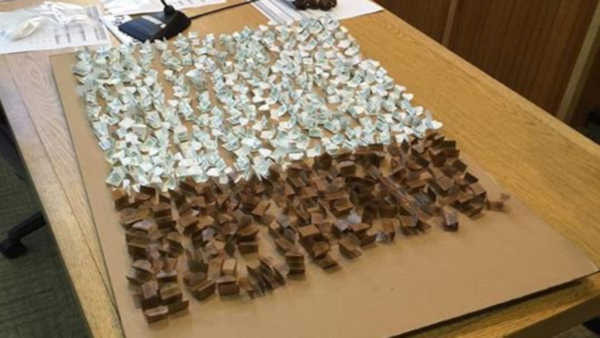 HAZLET, N.J. -- Police found 1,000 heroin bags at a hotel in Hazlet, New Jersey after responding to a call about a sick child. Police were called to the Holiday Inn on Thursday, and while helping the child in a room, officers spotted heroin. Nearly 1,000 packets of the drug were found. The woman who rented the room was arrested and charged with drugs and endangering the welfare of a child.